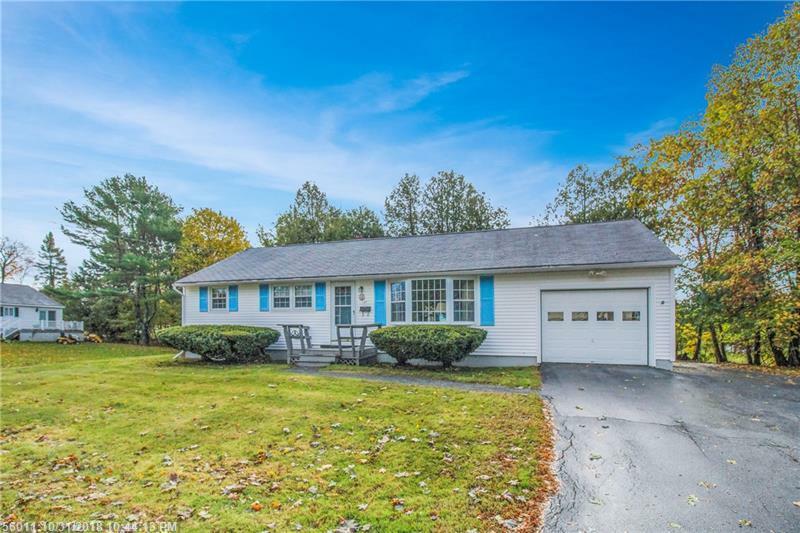 Attention Bangor area house hunters: If a great location is your top priority, you don't want to miss this charming east side ranch. Cute 3 bedroom & 1 bathroom home features a large living room with hardwood floors and great natural light from the front wall of windows. The adjoining dining room opens to the backyard deck for indoor or outdoor entertaining possibilities. The functional kitchen makes the most of the space with ample storage. Updated bathroom features recent updated fixtures and modern tile. The basement is partially finished with a retro wet bar and hang out space. This winter you'll be glad to have an attached garage with direct entry into the home. Outside there's a large back deck, tree lined yard, paved driveway, and 0.17 acre lot. There's plenty of potential in this pretty ranch home. Vinyl siding and vinyl replacement windows for easy maintenance.